Anthony is a financial analyst with sound experience in Private equity investments and business advisory support. He started his career at leading professional services firm Deloitte & Touche and later at PricewaterhouseCoopers. He spent 4 years at the International Finance Corporation (IFC), the Private Sector lending arm of the Word Bank Group, where he provided business advisory support to small and medium enterprises. Since 2009, Anthony has been involved in private equity work- sourcing and structuring mezzanine, debt and equity deals. He was a Partner and part of team that founded Jacana, a Private equity firm that was dedicated to E Africa. 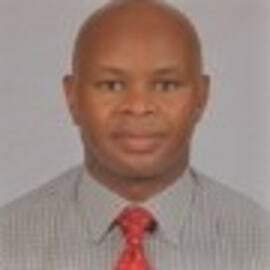 Currently, he serves as the Regional Equity Specialist covering Kenya, Uganda, Tanzania, Rwanda at Oikocredit. He identifies equity deals that meet the firm’s investment criteria and structure appropriate offering in the USD 2-10 m ticket range. He also serves as shareholder representative in some investee companies. Anthony is a CFA Charter holder and obtained his Bachelors and Post graduate degrees from the University if Nairobi. He is also a members of ICPAK.